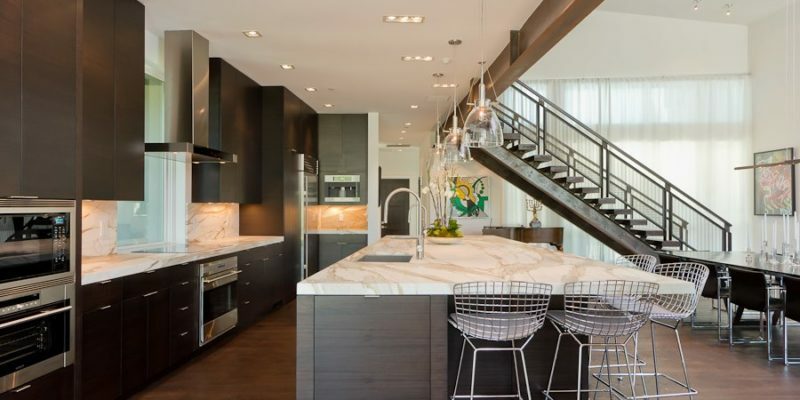 This contemporary kitchen was the People’s Choice Award Winner in the 2012 Park City Showcase of Homes. This is the first time that a contemporary design has been given this honor. This home was built by an Architectural Design Build firm for the Architect himself. Great detail was given to everything that was chosen for the kitchen. 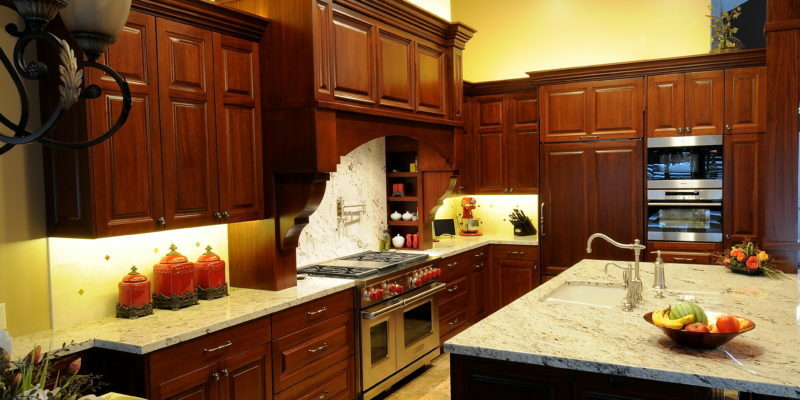 Everything from the fine stone to the cabinets down to the appliances were given great thought. One of the design challenges was the 7 degree angles in this home and trying to fit everything on the client’s wish list into the Kitchen. As large as the kitchen was this was still a challenge. 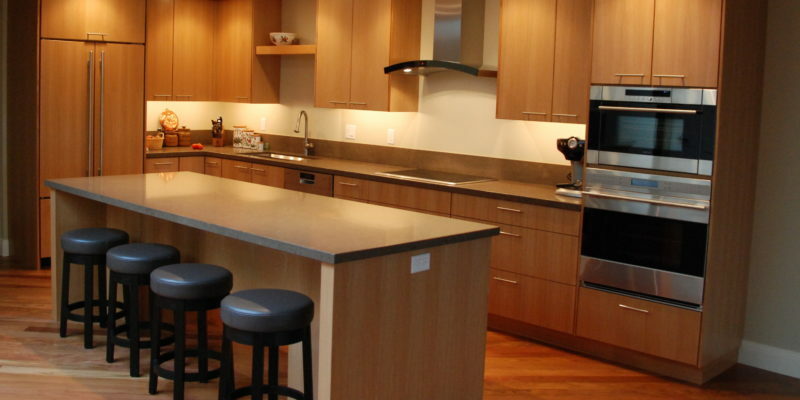 This kitchen is the ultimate place to entertain. The Guest’s kitchen was 20 years old and at the center of their home. 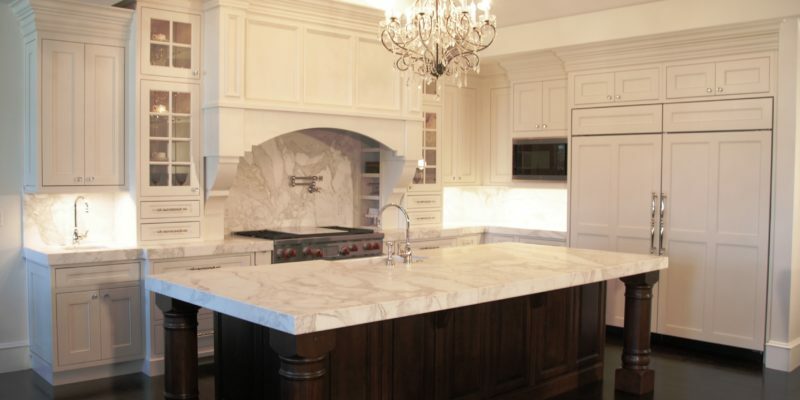 They regularly host Friday evening dinner parties and wanted their new kitchen to be beautiful. In our first meeting I asked Brian what kind of appliances he wanted and his reply was “I want the best appliances I can get “ One of the design challenges was to decide what to do with the built in pantry. We decided to completely remove it along with the peninsula to allow for a huge Island. After deciding on one of the three design options and choosing beautiful Mahogany Cabinets I asked him to make an appointment with Marie at Roth Distributing to learn more about Sub-Zero and Wolf Appliances.In our next meeting Brian had model numbers for all of his appliances. All that was left was to complete work on the cabinets and to place the appliance order. Now that the remodel is complete Brian said that the most common thing he hears from friends that see his new Kitchen for the first time is “WOW”! This renovation was inspired by the need for a larger master closet. The client then decided to renovate the master bath and while shopping for the bath renovation they decided that it was time to completely renovate the kitchen as well. The client wanted the very best and would have nothing other than Sub-Zero and Wolf. It was refreshing to work with clients that knew exactly what they wanted. The job went well and the clients love their new kitchen. It has given them the ability to host large family functions and to be able to keep enough food fresh to feed the whole extended family. With the new 48” Dual Fuel it also has given the capacity they have always wanted to be able to cook for this large group as well. These clients are part of a trend that we have been seeing with retirement age clients choosing to go away from traditional design and go with much more contemporary designs. This remodel was done with a certain budget in mind. As a result the contractor recommended that the clients steer away from the new Convection Steam Oven as a way to try and stay within the predetermined budget. The clients went for a visit to the Regional Sub-Zero Wolf Showroom and learned all about the benefits and features of the new CSO. They decided that they absolutely had to have it. When I went for a follow up visit the client showed me a picture of the first meal that he had prepared in his new steam oven. One of the greatest design challenges was determining what kind of wood to pair with the Brazilian cherry wood that the client had already selected for the floors. We decided on a Natural Rift Sawn White Oak that paired nicely. By extending the upper door over the refrigerator grill we were able to maintain a more refined look and still provide for the necessary ventilation requirements.